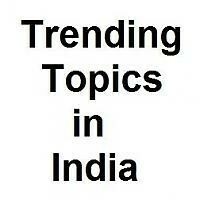 With the boost of internet and information technology in India, trending topics makes sense to people and masses. Breaking news are immediately get highest attention and get viral in social sharing websites. Celebrities like to fce their fans via twitter and promotions have find their way on social platform.